I LEARN A LOT FROM the shifting sands of Twitter and one surprising thing I've discovered is the inverse relationship between tweeting and blog visits. Since I've started tweeting on Pearl Harbor Day 2006, my number of tweets have gone up alongside the number of daily visitors to my blog going down. In fact, I rarely see 1000 daily visitors anymore, even with a fluffy link. Another thing I've seen when looking for a relationship between Twitter and my blog is that 10% of my blog's visitors come from Twitter, a Twitter clone or a Twitter client. More than 40% of my visitors come from Google and less than 10% come from Facebook. A lot of research shows the vast majority of people on Twitter have published fewer than 10 tweets. I've a few Twitter accounts, carving our space for different identities. My main space is @topgold, the same nic I use in other social networks. It feels like Ireland has spawned 30% growth in Twitter use since Christmas 2009. That's probably down to every major broadcaster using Twitter as an audience-building and crowd-sourcing mechanism. 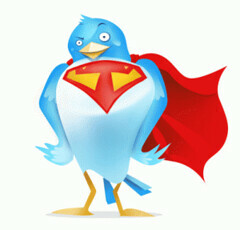 I plan to hang out for another 25,000 tweets, well in the slipstream of power users Richard Azia and John Williams. Previously: "Surprising Facts about Twitter" on 5 October 2009. Robert J. Moore -- "Twitter Data Analysis: an investor's perspective" on TechCrunch, 5 Oct 09. Moore runs RJ Metrics, an on-demand database analytics and business intelligence startup that helps online businesses measure, manage, and monetize better. RJ Metrics -- "New data on Twitter Users and Engagement" on 26 January 2010. I ACCEPT A HIGH FLOW of information into my life, probably as much in a week now as I absorbed in a month three summers ago. That's because Twitter serves me news faster than any other method and the SonyEricsson Xperia X10 delivers that news in the form of little rectangles that land elegantly on the home screen of the phone. Another reason for the higher flow is the X10 needs no computer connectivity. I don't have to connect the phone to my laptop for updates because they come over the air. I don't have to sync my podcasts because an Android app pulls them down. Another app (at right) grabs audio enclosures found on RSS feeds and that's very helpful at filling dead spots of the day, especially when sitting idle near an O2 3G mast. At night, most of the content of the next day's Guardian drops onto the X10. I'm not even using the laptop some nights anymore. When comparing mobile phones, it's important to realise that you can do most everything you need with a smartphone nowadays but a big Android advantage over the iPhone is that you don't need a computer in between you and the raw flow of information, updates and back-up. Knowing this, I feel I'm more in control of the way I extract value from social networks. Posted with thanks to Richard Azia on Google Buzz and with thanks to SonyEricsson for the long-term loan of the X10. IF SHE COULD BLOG at two-and-a-half, Mia would be telling the world that she wants a pink bike. If she could read, Mia would see I've written about the joys of having a new bike. I'm shoveling a sample video clip onto my blog in the hopes that we can find a way to get her a 14" pink bike. We've bought her bicycle helmet already and have visited Worldwide Cycles to find a perfect match to her frame. Download the 3MB M4V file. AFTER INSPECTING ALL the desktops around work, I discovered I'm giving the office its first Micro USB Charger for communal use. It's a €20 Blackberry charger rated with a higher output than the standard SonyEricsson charger that came with my Xperia X10. Although the United Nations has convinced companies to offer the same recharging connection, there are machining problems when plugging in a charger from another manufacturer. In the X10's case, I can feel the metal micro USB does not fit as snugly when I use the Blackberry charger. But the thing does charge the phone and I guess that's fine. There's no problem getting the cable to slip into the phone's charging port but I had to stop myself from pushing the cable as deep into the socket as the SonyEricsson connection reaches. Neither the Blackberry charger nor the SonyEricsson charger are rated at an ampere of output. 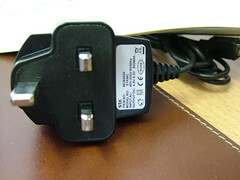 The Blackberry charger is rated at a higher power setting but the SonyEricsson's charger appears to finish the job faster than the Blackberry's charger. By 2012, when all mobile phones use microUSB, I wonder if mobile phones will ship without chargers. I imagine at least two Micro USB chargers will be in plain view at work by then. Previously -- 2008 Most Valuable Technology, 30 December 2008. I HAVE REACHED THE END of work with a third level journalism college and have some nagging thoughts about the skills many Honours graduates have when they finish their degrees. I've formed my opinion while working inside the system with the Higher Education Training and Awards Council as an external evaluator. I also have reinforced my opinion while working alongside several clever journalists. 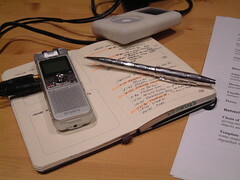 Simply stated, I believe a talented writer who wants to excel as a journalist should study another course. 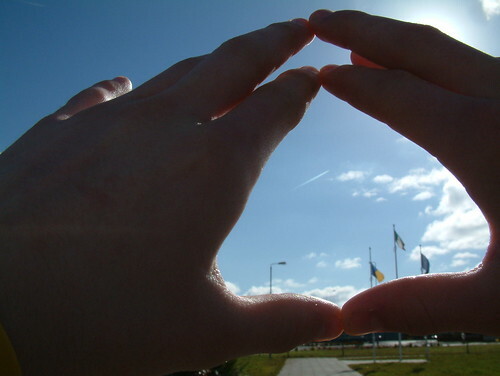 In my personal opinion, a history degree or a good grounding in business finance would enhance critical thought more than learning how to be an objective observer. Like several other lecturers who teach students how to observe, critique, write and communicate effectively, I know students can build these skills outside of J-School. But there's another pressing issue relating to how news is sourced and fact-checked in the early 21st century. ONE OF THE JOYS THAT I associate with New York City is looking down on rooftop gardens. 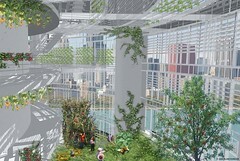 Columbia University Professor Dickson Despommier takes rooftop gardens to a whole new level. In The Vertical Farm: The World Grows Up , he envisages city centres with entire buildings devoted to growing fruits and vegetables. The illustrations in his book should be required viewing for city planners because 80 per cent of the world's population will live in urban areas by 2050. Despommier argues, an area of land 20 per cent larger than Brazil will be required to feed all these city dwellers. Where is all that arable space? In his online writings and in his book, Despommier suggest that multi-storey buildings could be designed as giant hothouses used to grow food year-round on an industrial scale at the heart of cities. And if a skyscraper occupant doesn't want to get his hands dirty, the space could be let out as part of a multi-storey allotment scheme. Columbia University -- "The Vertical Farm"
Previously: "Green Roof Fringes", 3 January 2008. YOU CANNOT ESCAPE the ominous prospect of a major meltdown in both the Irish banking sector and with the state of public finance in Ireland. Portions of the theme runs through three major Irish Sunday newspapers today. Nearly every commentator thinks Anglo-Irish bank is a black hole. And every small business owner I know has problems keeping lines of credit open with local bank managers. The cost of Ireland's depressing budget deficit means my child now owes the State €46,641 before she starts working. Some of that money goes to pay pensions to serving politicians. With each passing day, I'm thankful that the current government coalition is so delicate that a simple delay in taxi service through Dublin could result in a failed government vote and a snap general election. In my humble opinion, it's what Ireland needs. Last Week: "Qik work of Sunday Independent", 18 April 2010. A lot of other things transpired when volcanic ash blanketed Europe. For example, we discovered you could run a country while stuck at an airport with your iPad. And hundreds in my social networks got work done through online video conferencing. THE E-PUBLISHING SIDE of the family insists that all creative multimedia students should know the identity of the top five fonts you should never use. I've added the video to my first semester required viewing materials.